This phrase has arrested me for years, because pondering to me in a sense is a form of worship. To ponder, in a sense is to daydream about God. A time when the world stands still in quiet moments. There is very little pondering that goes on these days. Lots of scurrying, entertaining, playing, eating, arguing, and obsessing but pondering is a rare commodity. What things? The adventure of this teenage new mother towers over the likes of kings, rulers and presidents. Generals, celebrities, and artists. She was the hailed by an archangel, the one and only virgin to be impregnated. That would be enough to lift her into the stratosphere of history. But that’s not half the story. The Baby she carried was the Son of God. And after all was done. Mary pondered. What would she ponder: Fears, hopes, wonder,and a tapestry of memories. You can imagine the fear that accompanies every angelic visitation. With those words, Mary knew that this wasn’t Joseph in her bedroom. It wasn’t her Father. An uncle, or a grandpa. The vocal chords the reverberated into her room were not of earthly origin. You can imagine the questions because millions of pregnant teens have had to grapple with the fears, the worry, the reputation, the explanations that accompany an unexpected pregnancy. 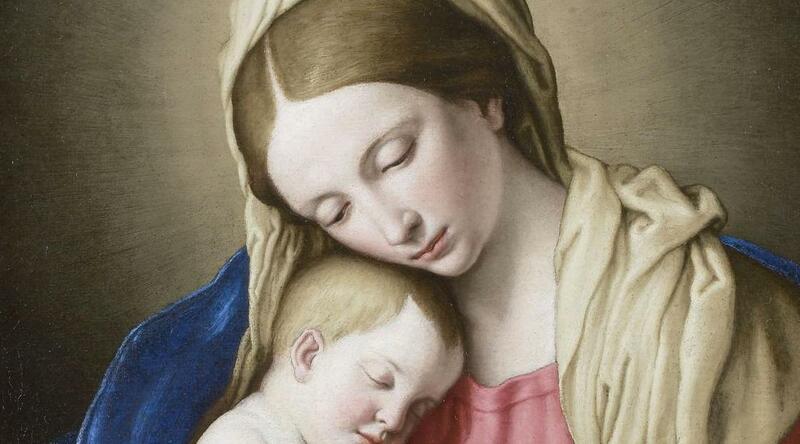 But there is no record in scripture that Mary did anything other than believe God. It was a strange time for her. Mary took the challenge and faced the gossip and rejection, but she wasn’t alone. Love and companionship are miracle cures. Like Noah surrounded by laughing neighbors, like Moses being mocked in Pharaoh’s court, like Elijah before the prophets of Baal, Mary stood strong. In truth, her faith was challenged even more than those men because she had not miraculous rod-snake to throw at the feet of unbelievers. She had no fire from heaven, she had no storm clouds or thunder. She only had the private promise on an angel and the certainty that she was pure and purely blessed. She lived in an ordinary quiet little town, much smaller than Tioga and much less regarded by outsiders. However their were some small private confirmations. They included a very old aunt who probably could have been a great grandmother, named Elizabeth. Pregnant for the first time, she was escorted by a husband who seemed to all to be at a loss for words. Life the lions on Daniel, God shut his mouth. Certainly Mary and Joseph had their unheavenly moments. The 70 mile journey from Nazareth to Bethlehem. Just imagine this possible scenario. Mary begins to have contractions before the Bethlehem city lights are in view. “I don’t think I can ride another mile on this donkey!” Mary cries out. “You don’t have enough money for a doctor,” Mary reminds the Nazareth Home Improvement employee. They were selected by God, but rejected by people. God, in His infinite love, passed over the rich and elite to touch the common. He chose the shepherds, street people, lepers, and the unwanted of the world. He could have created a palace that would make Buckingham look like a cheap hotel, but He passed on the palace and made a reservation for His Son at a stable. And there in that stable, Jesus Christ began His task, His do-or-die mission to save the world. But time stood still that night. That holy night. Woman: There was a glimmer of divine hope in this evil world. Mary and Joseph, I’m sure, were exhilarated, but certainly exhausted. Mary,in a barn full of visiting animals: horses, mules, stray dogs, and perhaps a camel; splinters, hay; Joseph snoring; and those shepherds loudly recounting angelic visitations woke the Baby three times! But now, just before dawn, with all asleep except Mary and a mule, she gathers from the hope chest of the near past a tapestry of memories. What would be a few of those memories that she would ponder. that swept through the Bethlehem hills like a Spirit newly released. What could she say. This this complex and mysterious supersede words. They are moments to ponder. I like to call them “selah moments” Moments where we can only say “God did it.” Anything else, any extra words would only taint the experience. These are moments to ponder. The mystery of the Christian experience is that we all are invited to enter into the dance of the divine. We are all offered an experience that will turn our Narareths into Bethlehems. Holy moments to ponder… if we stop and listen and realize that God did it. When we see a baby born on a bright and beautiful morning we can say God did it. When a minor symptom is investigated, and a hidden, deadly, ailment is discovered and repaired we can say, God did it. This is the how much more-ness of the gospel. It’s realizing that God’s Son is the prince of Peace- not the prince of revenge. That he didn’t come to heap more laws, or guilt, or curses upon the land. He came to introduce us to the word and the concept of grace. She was there and Mary watched her son’s breathing on that cross- the final moments of agony- as she looked at him there, we can imagine her mind racing back to those moments as a two year old- Jesus sleeping on his tummy, the back rising and falling with each breath he took. We understand this dangerous truth: That the choices we make are given meaning by the things we give up. And those words- Woman behold your son- Son behold your mother. I can only imagine the grief. As they took his broken, lifeless body down from the cross. The anger of her son destroyed, mocked, rejected, a felon called Barabbas was preferred over her boy. I’m fine! I can jog all the way to Bethlehem and back and back, but my son can’t! Oh God! I am so mad I don’t know what to do! I wanna know why! I wanna know *why* Oh *God* I wanna know *why*? *Why*? Lord, I wish I could understand! No! No! No! It’s not supposed to happen this way! I’m supposed to go first. I’ve always been ready to go first!